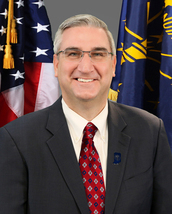 Thank you for your service to Hoosier taxpayers this year. There are many more achievements that show you are providing exceptional service and support to Hoosier taxpayers. Therefore, this year, I am authorizing a pay for performance increase to recognize your work throughout 2018. Once evaluations are completed in January, employees who meet expectations will receive a 2 percent raise; employees who exceed expectations will receive a 3 percent raise, and employees rated outstanding will receive a 5 percent raise. The changes will become effective in February. Please accept this as a job well done in 2018 and encouragement for continued productivity in 2019. There are always more challenges to meet, and together, we will make this a better state for the people of Indiana and our guests. May you and your families have a healthy, safe and prosperous New Year!